The Miao Hmong has a large and widely distributed population, their clothes and accessories are regionally distinctive. The variation are expressed in the length, color, collar, button, silver ornaments and the hairstyle. 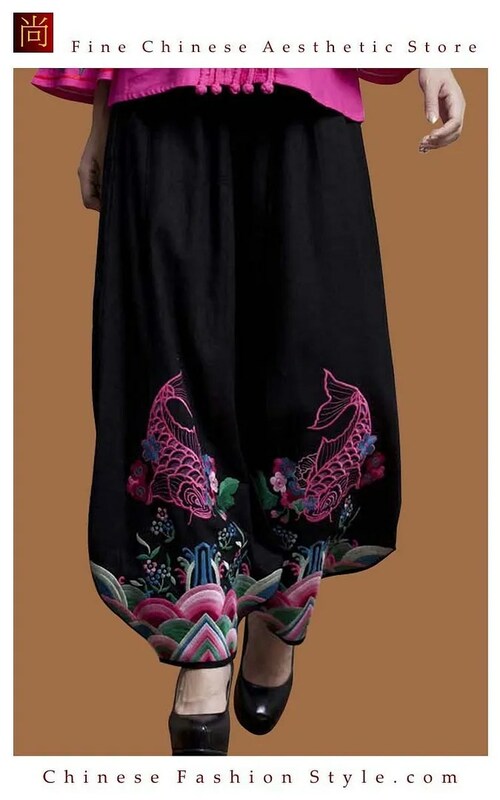 Miao Hmong costumes are divided into five major styles: Southeastern Guizhou style, Mid and Southern Guizhou style, Sichuan-Guizhou style, Western Hunan style and Hainan style. Among these, Western Hunan, and Southeastern Guizhou are typical and more distinguishable. Miao Hmong living in the western part of Hunan province have kept close ties with the Han Chinese since ancient times. They wear a similar style of clothing to the Han Chinese. Men wear a short Chinese-style jacket with buttons on the front and wrap their head in a turban. Women used to wear red skirts, but now prefer pants with an embroidered apron over the top and a vest over a jacket. They usually decorate the cuffs of the sleeves, edges of pants, and jacket hems with lace. They like to wear a kerchief and silver ornaments on their head. Miao Hmong women in southeastern Guizhou province have more choices in their dress. Some like to wear a Chinese-style jacket with buttons on the right, and some wear a half-length jacket with loose sleeves. Most wear either a pleated skirt or pants. Women in this area have long hair tied in a knot on the top of the head, which they tie with a cotton kerchief. Some also have their hair tied with a scarf into a bun, and then pin a silver ornament on the bun. Men wear a short Chinese-style jacket with buttons down the front or a long gown with buttons on the right side of the front. All men wrap a band around their head. Miao Hmong women wear more colorful and decorative costumes in the central and southern parts of Guizhou province. They wear a long pleated skirt and V-style jacket with buttons down the front with ribbons and ornaments. Women wrap their head with a kerchief, or wear a hat in addition to a silver necklace, silver pins, and earrings. Men in these areas wear a long gown with buttons on the right of the front and long pants. 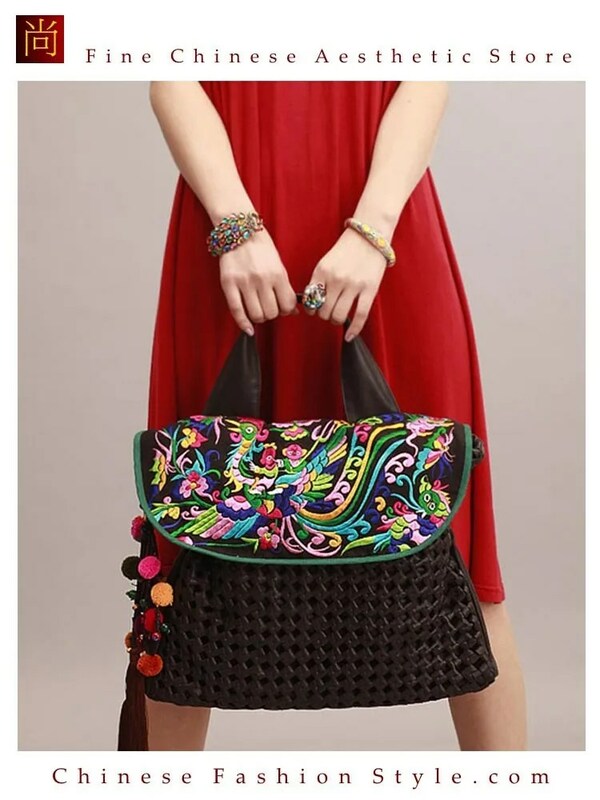 Miao clothing is distinguished in line with ages. 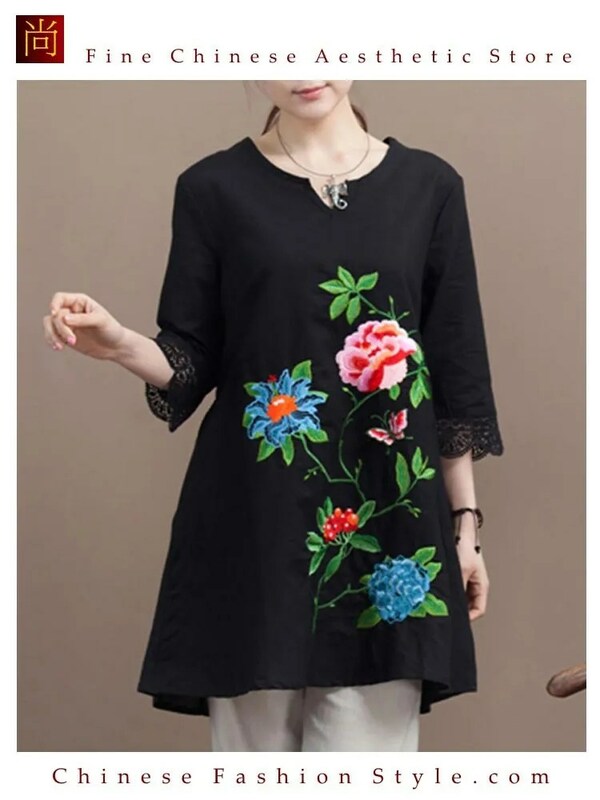 Dresses are often in bright colors for unmarried women, and more subdued blue, black, and gray for married or older women. The older women have a distinct hairstyle and less silver ornaments on their hair. While there are variations in costumes between Miao Hmong villages, there is a predominant use of silver jewelry, embroidery, and batik in women’s costumes and the Miao Hmong culture embedded in the costumes is likewise complex and rich in tradition. Miao silver is not pure silver, but an alloy of silver, copper and nickel. It’s a traditional material for making jewelry by craftsmen of Miao Hmong ethnic tribe. The percentage of silver is about 60%. Miao Hmong silver jewelry is distinctive for its design, style and craftsmanship. Miao Hmong silver jewelry is completely handmade, carved with decorative patterns. It’s not easy to make and there is no pair exactly the same. Miao Hmong people think silver accessories have spirits. Wear it more, clean it more, it will reward you with more beautiful luster. Miao silver gets oxidized，especially during summer when people sweat a lot. Less moisture and no chemicals will keep it shine longer. Polish it the same way as you do with your 925 silver accessories. Or just use cotton to polish it. Keep it in a sealed package when you don’t wear it. The term “Tibetan silver” is applied to a variety of metal alloys used in jewelry, some of which have no silver content at all. Historically, Tibetan silver contained 30 percent of silver, but today this is rarely the case. Modern Tibetan silver is usually cast from a mixture of copper, nickel and a small amount of silver. Some Tibetan silver also contains zinc. Its overall appearance looks like aged silver, but it can be polished to give highlights on complex castings. Sterling silver is an alloy of silver containing 92.5% by weight of silver and 7.5% by weight of other metals, usually copper. The sterling silver standard has a minimum millesimal fineness of 925. Fine silver (99.9% pure) is generally too soft to produce functional objects. Therefore, the silver is usually alloyed with copper to give it strength, while at the same time preserving the ductility and beauty of the precious metal. Other metals can replace the copper, usually with the intent to improve various properties of the basic sterling alloy such as reducing casting porosity, eliminating firescale, and increasing resistance to tarnish. These replacement metals include germanium, zinc and platinum, as well as a variety of other additives, including silicon and boron. Fine silver has a millesimal fineness of 999. Also called pure silver, or three nines fine, fine silver contains 99.9% silver, with the balance being trace amount of impurities. This grade of silver is used to make bullion bars for international commodities trading and investment in silver. In the modern world, fine silver is understood to be too soft for general use. Comparing with 92.5% sterling silver, 99.9% pure silver is much softer, whiter, brighter, and no signs of impure metals can be seen, but more difficult to craft into silver jewelry. A saying of the Miao goes like this “The beauty of golden pheasant lies in its feather, and the beauty of Miao Hmong girl lies in her silver jewelries.” The sparkling and clanking silver jewelries are stunning and are highlights to the landscape of the Miao Hmong village. Miao women love to dress in unique silver jewelries from head to toe. Here are just a few kinds. Miao Hmong silver headdresses are quite a sight and are worn only on very special occasions, like weddings or significant festivals. They include five different parts: the horn, the crown, the comb, the flowers and the hairpin. Miao Hmong silver horns are crafted to mimic the horns of an ox. The two horns can be as much as three feet apart! And they’re quite tall, almost doubling the height of the wearer. An image of two dragons playing with a pearl is often engraved, symbolizing wishes for an auspicious future. But each silver horn is unique. Some women adorn the horns with different kinds of silver pendants like phoenixes, birds, and butterflies. A pair of white feathers is usually put on the horns to make them even taller and more attractive. A silver crown is the base of the headdress and can be a foot tall and quite heavy. There are three kinds of silver crown. The first kind is a hat completely covered with silver flowers, birds, animals, bells, and tassels. There are twelve pieces of silver feathers hanging behind the hat and reaching to their waist. This type is popular in the Huangping area of Guizhou province. 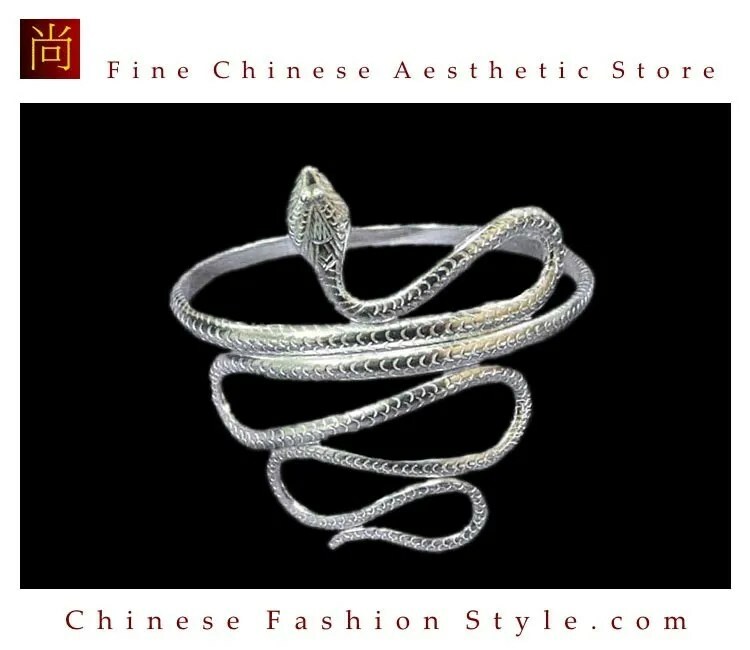 The second kind is usually seen in Leishan, Guizhou province, which has no top and a piece of 10-centimeter wide silver with three parts. The first part on the top features 29 silver flowers. The second part in the body has warriors riding horses. The silver fringes make up the last part. Another type is worn by Miao Hmong women in Shidong area of Guizhou. Miao Hmong women wear silver combs on their heads as ornaments. Patterns of flowers, birds, dragons, or deer are carved on the silver ornaments. Some combs feature the image of a Bodhisattva, with several layers of silver chains dropping down. 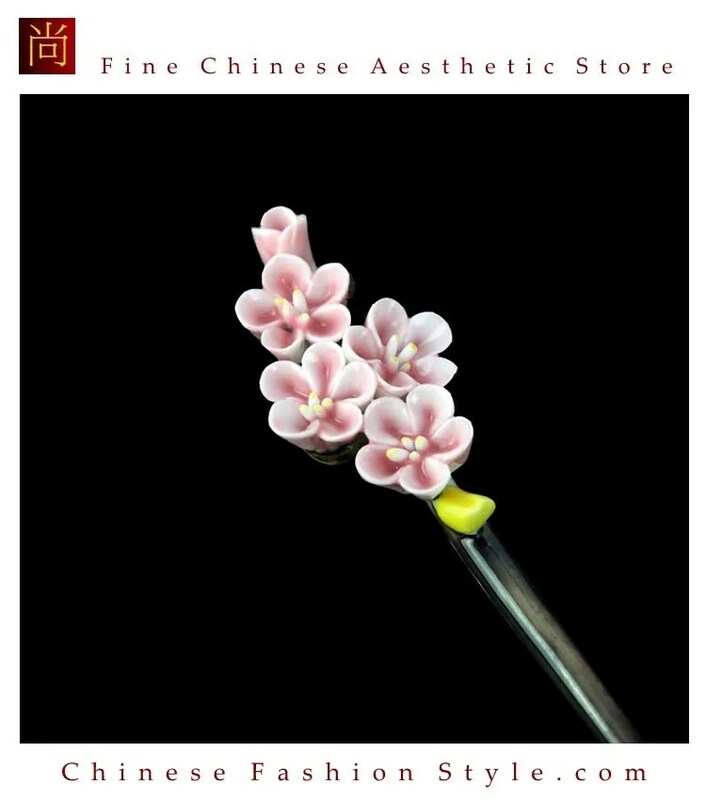 The design of Miao Hmong silver hairpins varies, but they usually feature birds, butterflies, and flowers. 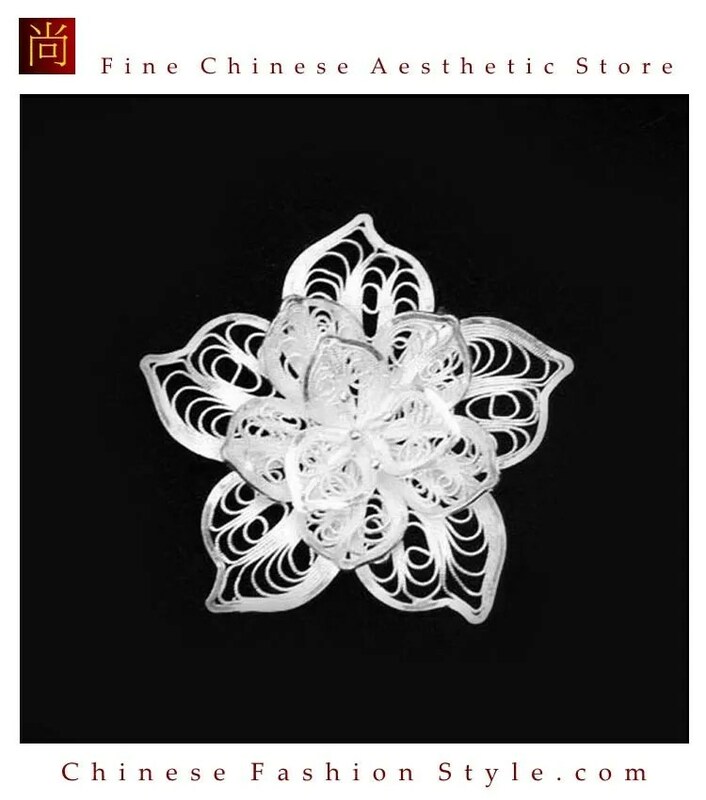 The most striking designs feature 10 silver flowers which look like a Chinese fan. 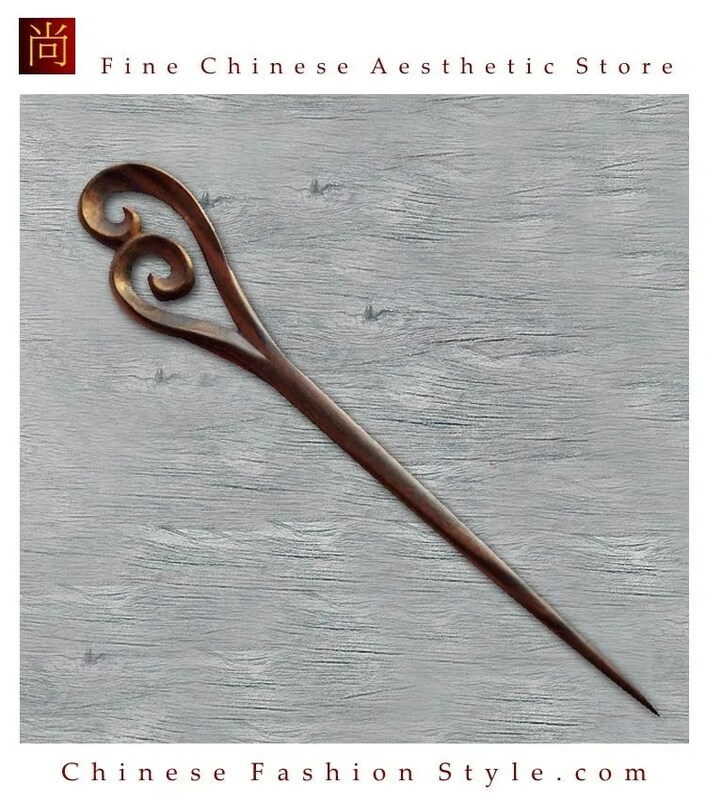 Some hairpins look like chopsticks decorated with silver bells or long tassels. Tiny Miao Hmong earrings are often shaped like flowers, birds, butterflies, dragons, or plants. 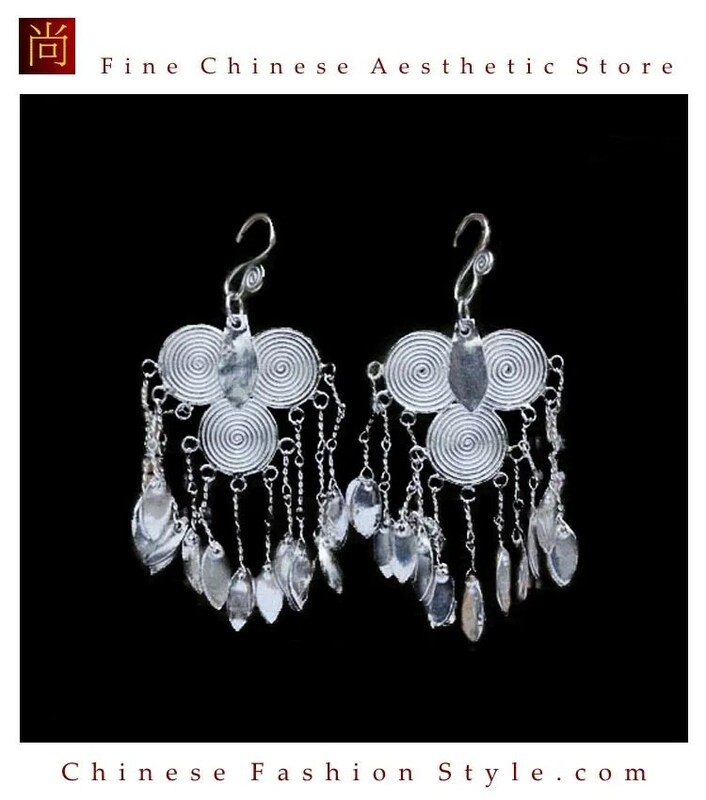 Miao Hmong women usually wear 3 or 4 pieces of silver earrings at one time. In some areas a single silver earring can weigh 200 grams, and reach all the way down to their shoulders. But many small earrings have threads which are as thin as a piece of paper. A Miao Hmong silver necklace is wide and heavy, and has many pendants hanging from it. Smaller silver necklaces are rarely worn. There are many kinds of necklace popular in the Miao Hmong areas. One kind of dragon silver necklace is quite impressive. It features two dragons playing with a pearl and has 11 silver tassels dangling from the bottom. Another kind of necklace has 14 silver rings linked tightly together, while silver birds or butterflies hang down from each ring. The Miao Hmong silver bracelets are engraved with the images of flowers, fish, or dragons. Some bracelets feature wide band which is like the cuffs worn by warriors in ancient times. Miao Hmong women usually show off 4 or 5 silver bracelets at one time, sometimes more during festivals or holidays. 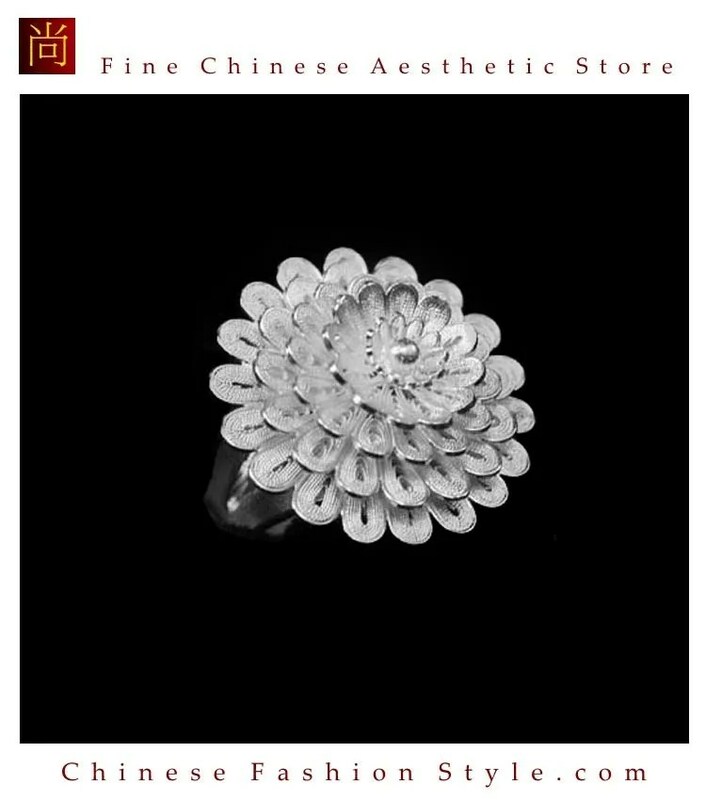 A Miao Hmong silver ring is usually quite small and has fine pieces of silver bent and shaped into flowers, birds, or plants. In some Miao Hmong areas, women have rings on all eight fingers except their thumbs. Some rings are big enough to cover half the length of their fingers! A silver costume in Leishan area normally has 44 silver pieces sewn onto the fabric. Each silver piece has vivid patterns like flowers, butterflies, tigers, lions, and dragons engraved on them. Whereas in Shidong area, silver costume have as many as 380 silver pieces sewn onto the costume. When they walk and dance, the silver ornaments make beautiful sounds. A silver waistband displays tens or even hundreds of silver images of Bodhisattvas sewn on a piece of cloth. The Miao Hmong wrap it tightly around their waist, and they sparkle when the Miao Hmong dance. One famous waistband displayed in a Miao Hmong museum features 105 unique silver Bodhisattvas images, each of which has different facial expression and gesture, reflecting the incredible imagination and creativity of the Miao Hmong artisan. Last but not least are small but sturdy silver anklets that clasp above the foot. Silver anklets are usually worn by children to drive away evil spirits and bring them a bright future. Costumes of Chinese ethnic minorities are flowery, colorful, extremely exquisite, and highly distinctive. They play an important role of the rich history and culture of the ethnic groups. 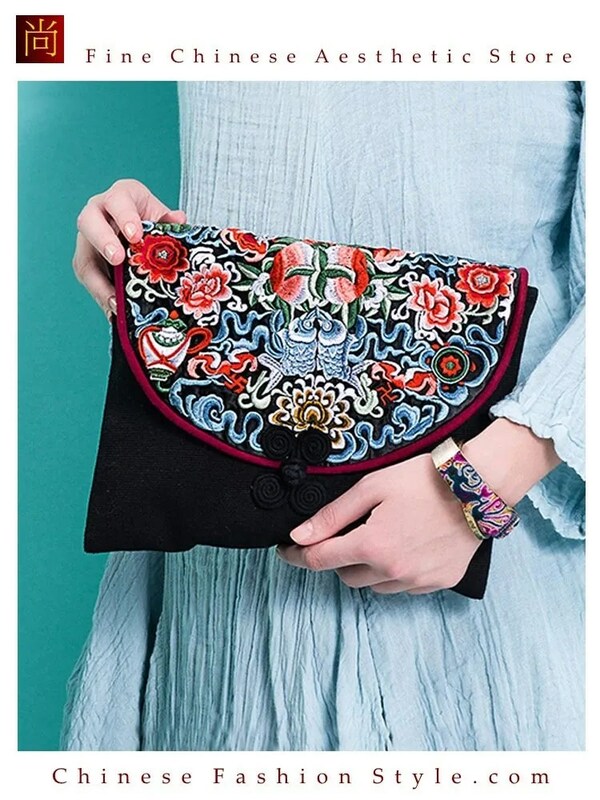 Every aspect of their garments, such as raw materials, textile technology, fashion and decoration, retains a distinct characteristic of the ethnic group and the locality. The Hezhen ethnic minority people, who mainly make a living on fishing, used to make clothes with fish-skin. The hunting ethnic groups, such as Oroqen and Ewenki, used roe skin and animal tendon to stitch up their clothes. The Mongolians, Tibetans, Kazakstans, Khalkhases, Uygurs, etc., who are mainly engaged in stockbreeding, make their apparel mostly from animal skin and hair. And, farming ethnic minorities usually take the locally produced cotton or hemp thread as raw materials to spin cloth and silk and make clothes. The spinning and weaving, tanning and felting techniques of Chinese ethnic people boast a long history. 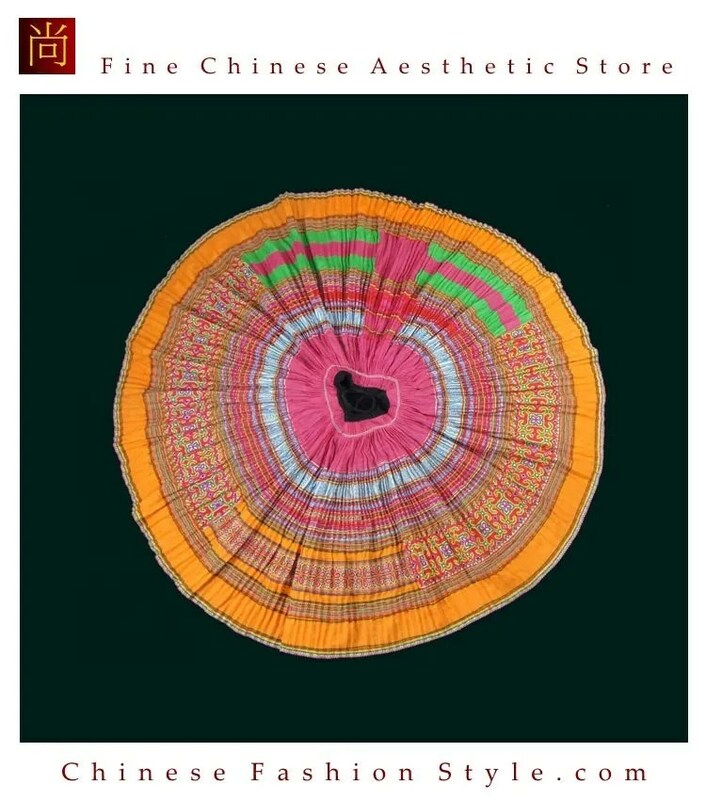 For example, bombax, cloth of the Li ethnic minority, woolen fabric of the Tibetan, Adelis, silk of the Uygur, fur products of the Oroqen have enjoyed a worldwide reputation all along. 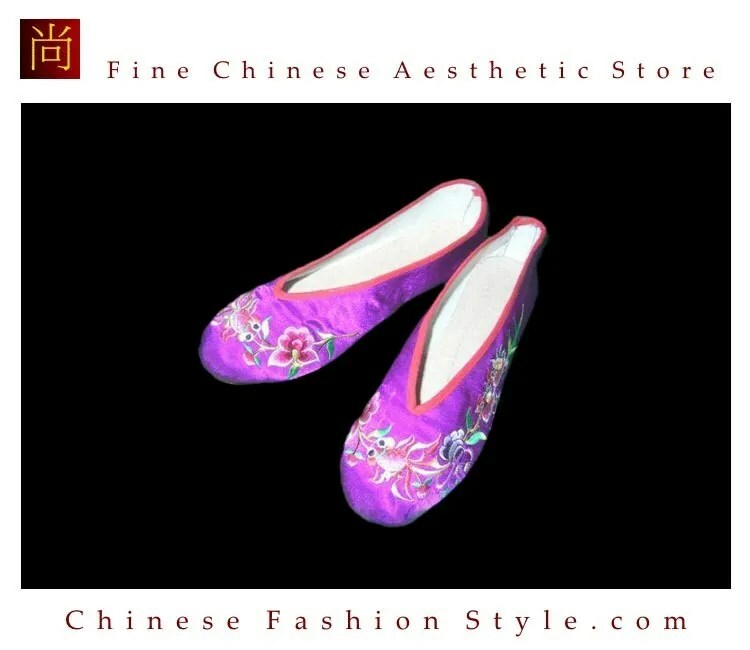 There are numerous clothing designs and forms in Chinese ethnic minorities. Generally speaking, they can be classified into two types: long gowns and short clothes. People usually wear a hat and boots to match long gowns, and headcloth and shoes to match short clothes. The gowns take various forms. The high-collar and big-front type is worn by the Mongolian, the Manchu and the Tu. The collarless tilted-front type is worn by the Tibetan and the Moinba. The tilted-front type is worn by the Uygur and other ethnic minorities. As for short clothes, they fall into two types: trousers and skirts. In terms of skirts, there are pleated skirts, tube skirts, short skirts and one-piece dress. In any kind of clothes, no matter it is a gown, a coat, a skirt, or trousers, different ethnic minority groups employ different structures, techniques and styles. Women of the Li, Dai, Jingpo and De’ang ethnic minorities all wear tube skirts, but those tube skirts worn by the Li are brocade skirts made of cotton, those worn by the Jingpo are woolen multicolored skirts, those worn by the De’ang are skirts with horizontal stripes, and those worn by the Dai are usually skirts made of ordinary cloth. Costumes of ethnic minorities vary greatly not only with different nationalities, but also with different branches and different regions within the same ethnic group. Difference can be seen from province to province, from county to county, and even from village to village. Costume is the most obvious symbol of an ethnic group, and in the history, many ethnic groups were named just by their garments. Techniques such as embroidery and batik are much developed, and are widely used in making clothing adornments. This is another feature of their costumes. Embroidery is a technique generally favored by all ethnic groups, and it is usually used in the headband, the waistband, the apron, and some rapid-wearing parts such as the border of the front, the round shoulder, the lower hem, the wristband, the bottom of trouser legs, the edge of the skirt, etc., being both decorative and practical. Embroidery techniques include cross-stitch work and appliqué. Embroidery methods include surface, twine, chain, net, stab and stack embroidery. Motifs are natural scenes, auspicious patterns and geometric patterns. Chinese ethnic costumes are often thought to provide a record of the history and folklore and bear the totems of the minorities’ beliefs, as the weaving together of every yarn also bears the marks of the delicate craftsmanship and wisdom of people. These costumes bear a wide range of symbols, many of which are motifs drawn from their daily life but with hidden meanings. For example, in Miao minority, birds and butterfly motifs are found, indicating that these people have once worshipped them as totems. Bai people’s costume has a long history. During the Nanzhao Regime (738-937 AD) and the Dali Kingdom (937 -1253 AD), Bai people created their own styles of clothing. The clothes of the Bai people are bright and well-matching in colors, delicate and fine in embroideries, and plain and simple in style. White is the favorite color of the Bai. They believe white represents dignity and high social status, and this can be seen in their clothing. It is typical for men to wear white outer upper garments and white trousers. Girls and women have more choices of colors. They like to wear white, light blue or pink outer upper garments and rosy, purple or black waistcoats. The Bai enjoy their lives and love flowers. 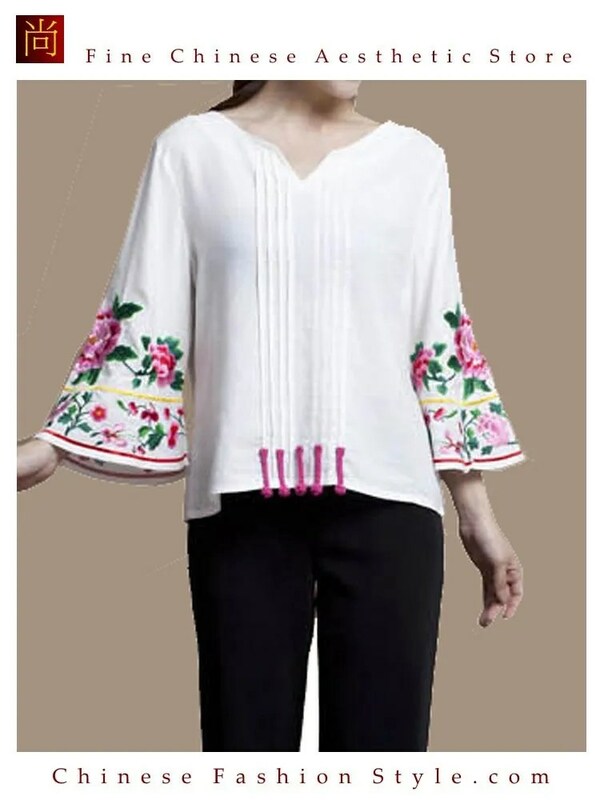 Bai clothing is usually adorned with camellia flowers because this flower is commonly see in Bai area and they view these flowers as a symbol of beauty. They like to wear a red scarf on their shoulders and a white outer upper garment, a combination that resembles blooming camellias. An unmarried girl always combs her hair into one pigtail, tied with a red string at its end, and then coils it over her head. She also likes to wear an apron with embroideries. In general, girls enjoy dressing up like beautiful camellia flowers. The clothes for young women of the Bai ethnic group mainly include the headdress, top garment, waistcoats, apron and pants. The top garment is usually white, yellow cream, lake blue or light green and the waistcoats are black or red, with silver dangling ornaments attached to the button area at the right. An embroidered or dark-colored apron is tied to the waist and a pair of blue or white pants is the usual lower garment. In some cases, the upper and lower garments are of the same color; in others, a different color is applied to the top garment, the waistcoat, the apron and the pants respectively. The multiple colors go perfectly well with one another. In addition, the Bai women wear exquisite headdress that nicely match with their clothes. The headdresses worn by women in different areas have different features. The typical and commonly seen headdress for Bai women has a special name. It is literally translated as the Flower in the Wind and the Moon on a Snowy Night. The name is symbolic in the manifestation of the headdress. The upper part of the headdress is as white as snow. The embroideries on the lower part symbolize flowers. The tail of the headdress falls down on shoulder symbolizes the wind, whereas the overall shape of the headdress looks like a half moon. Typical dresses for men of the Bai ethnic group include a white jacket, pants, leggings, straw sandals, and the outer black jacket with no sleeves and made of fine fabric like leather or silk. The whole set of costume, commonly known as three drops of water. A belt bag is tied to the waist and the pants are mostly black or blue. To some extent, Tibetan jewelries convey a traditional cultural tint of Tibet. That is why the Tibetan jewelries look more mysterious and exotic, and why there are so many people like Tibetan jewelry very much. Tibet is a Buddhist nation, which is reflected strongly in its jewelry. Some Tibetan style pendants, which in Buddhism are ritual instruments for subduing demons, believed to dispel all sins and bring people power, courage, and intelligence. Many pieces have Sanskrit inscriptions of a religious symbolic nature. Om. The om symbol is the sound of the universe. It has great significance to Buddhists and Hindus. Mantras. The most common mantra is “Om Mani Padme Hum,” which means “The Jewel Lotus Flower within the Heart.” When chanted, this ancient harmony connects us to the tune of the universe. Auspicious Symbols. There are eight auspicious symbols in Tibetan thought. These symbols serve a pedagogical function, teaching Buddhist principles to the people in a form that is easily remembered. Tibetan jewelry is seen as a means to keep the wearers close to deities and also believed to have the ability to eliminate disease, fear of death, prolong life and increase wealth. Tibet is famous for its ancient beads, called Dzi beads. Dzi beads have amulet properties, as they are believed to be capable of driving away evil spirits, protecting against natural catastrophes, increase one’s energy, bring good reputation to oneself, and promote decency. Dzi beads have been dated back to 1000 B.C. and were once referred to as God Beads. The beads exist in different shapes and motifs, each serving a different spiritual function. Tibetans often wear a prayer box, known as Ghau (or Gau or Gao). These prayer boxes are amulets (protectors), and are usually made of silver. They are highly ornate in pattern and design, and usually are embedded with gemstones. The Ghau is worn as a necklace, with the box hanging at heart-length. Inside the box is placed a scroll prepared by a Buddhist priest. The scroll contains a mantra, prayer, image of Buddha, or sacred symbol. In place of a scroll, a Tibetan might place a gemstone with protective powers or medicinal herbs in the box. In Tibetans’ views, yak is a kind of beautiful and sacred animal. Among Tibetan people there has been a Legend of yak circulating: “after the death of each yak, it will turn into a guardian to protect those who still respect them. And the way to respect dead yak is putting its fur or bone at home or carrying them along.” Therefore, Tibetan people carve scripture on yak skulls as a sacrifice for religion. At the same time, Yak Bone ornament could be seen worn by a lot of people in Tibet, in such way they commemorate and respect yaks which contribute their whole lives to Tibetans. Yak bone ornament is a unique decoration, original and natural, tough and unconstrained, which adds a wild charm to the wearer. And yak bone jewelry can also used as amulet to avoid evils. Ornamentation has always been extremely important for the Tibetan people. And when it comes to self-adornment, silver is king. 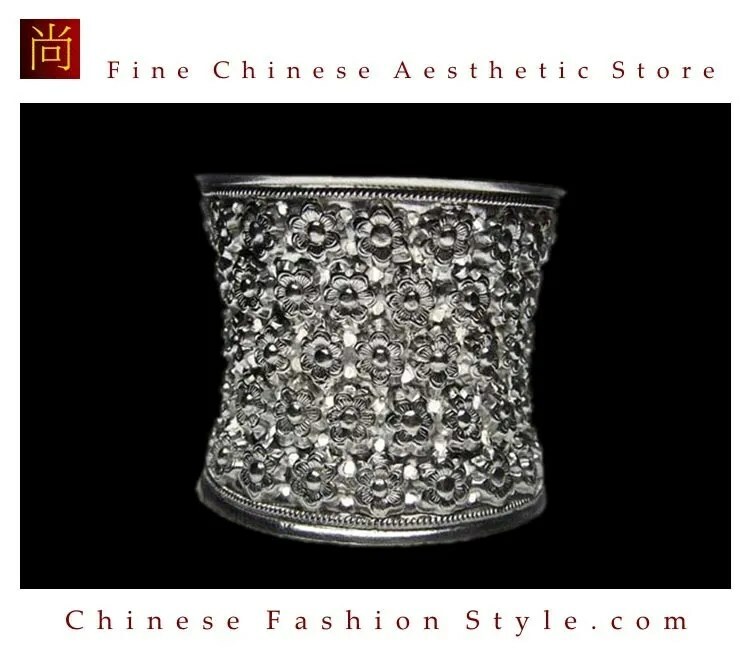 Tibetan people believe that wearing silver protects them from bad spirits and can even help in cure disease. However, silversmiths in Tibet are under threat from jewellers making items using machines – but the local people are still proud to wear a symbol of their heritage. Man Ta and her daughter, Zhuo Ma, are proud to wear their silver and do so even while performing simple daily routines such as preparing food. Man Ta was 17 years old when her mother gave her these adornments. They consisted of necklaces, earrings, belts, and different head ornaments. She feels proud wearing them. But those who make the silver pieces the traditional way are becoming increasingly scarce. Dorje Zhu is among the few of them working in the northern region of Sichuan Province, in southwestern China. The 37 year-old studied the art of working silver from one of the few elders who still practiced it. Now, he claims to be the only silversmith left in Shang Si Zhai valley and the nearby Jiuzhaigou area. It takes Dorje about three hours to make a ring, but more elaborate designs for belts, for example, can take weeks. He uses metal that he buys in the city, an alloy of copper with a very low component of silver that is stronger than pure silver. Dorje explains that the content of silver used to be higher decades ago, but the advent of industrialization and the mass production of jewelry has devalued it. Jiuzhaigou National park has become one of China’s most popular travel destinations. Around two million visitors come here every year to have a glimpse of the impressive landscapes. But when the park closes, it’s time for souvenir shopping. Dorje warns that many of the pieces sold as souvenirs come from big factories. And some of the jewellery is so cheap its silver content is questionable. There are also places to find the real, hand-carved silver ornaments. In iuzhaigou village, necklaces with strings of precious beads, and pieces of engraved silver are for sale at prices starting at RMB800 yuan. The price tag might be higher but trader say it reflects the long hours spent working the silver by craftsmen like Dorje. It may well be the price of keeping tradition alive. For Tibetans, jewelry plays an important, traditional role in dress, spirituality, and life. 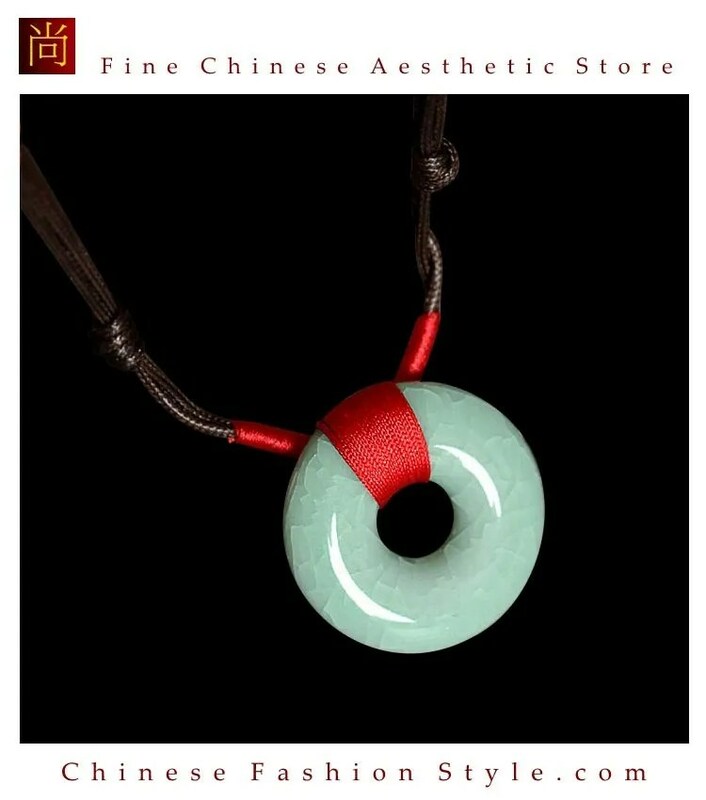 Under the stylish design, Tibetan jewelry implies the archaized style and a unique charm and appeal of art, and they can not be replaced by any other ethnic style jewelry. 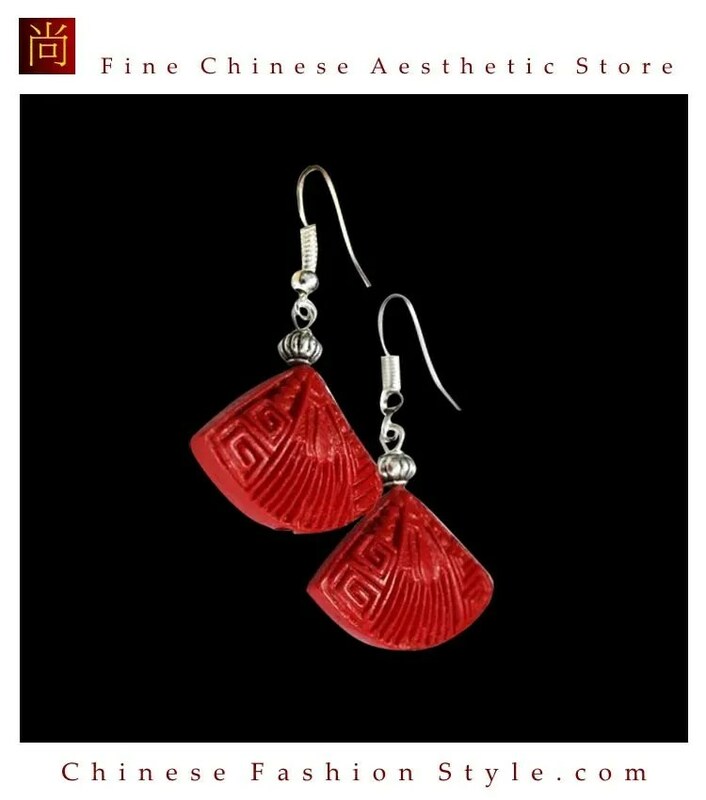 Handmade Tibetan Jewelry reflects rich Tibetan ethnic cultural connotation and bold styling. In contrast with India, where a piece of jewelry is valued for the preciousness of the metals and gems that go into making it, Tibetans value their jewelry based on its color, size and symbolism. Tibetan jewelry has a rustic, almost unfinished look to it. In contrast with the perfectly symmetrical and flawless appearance of, say Italian silver jewelry, Tibetan silver pieces are individually made in a process that usually involves hammering and chiseling. No one will ever confuse Tibetan jewelry as machine mass produced because of its simple beauty! Tibetan jewelry, including silver and gold jewelry, also tends to be much larger in size than the jewelry made in most other countries and regions. As for materials, Tibetan jewelry is usually made of copper or silver, although gold jewelry is also produced. Tibetan jewelry also makes extensive use of gemstones. Turquoise and coral are their favorites, but rubies, sapphires, agates, coral, amber, copal, carnelian, garnet, lapis lazuli, amethyst, and jade are also used. Yak bone is also a popular material for jewelry-making. Documents in China from the 7th Century were written in praise of Tibetan silversmiths and goldsmiths, which were believed to be one of the wonders of the medieval world. It is not clear where these skills came from or whether they originated from within the Tibetan region. It is known that Tibet has long been subjected to influences from foreigners. It was a stop on the famed Silk Routes that ran from the Mediterranean to China. Trading is known to have taken place between Tibet and such nations as Turkey, Iran, India, China, and all regions of Central Asia. It is possible that silver and gold workers in Tibet had associations with metal workers from other regions. The Tibetans have been skilled silversmiths for many hundreds of years. Silver containers have been found in temples that date back to 600 AD. Ancient metal work exhibiting advanced skills have been also uncovered, usually in the form of Buddhist sculptures. Gold was thought to have restorative qualities in addition to increasing longevity and dispelling demons. In Tibet, gold jewelry has always been rare, a luxury limited to the rich and the powerful. Gold jewelry reflects not only the personal wealth of the owners, but also social and political status. It also reflects the traditions of Buddhism and Hinduism. Gems and jewelry often serve as a metaphor for the ideals of faith, and Himalayan deities were richly adorned with abundant gold jewelry- crowns, earrings, necklaces, armlets, anklets, finger and toe rings.